Picture from simon3 : Coast near Annagry. Great place for a wide view of the NW Donegal Coast. 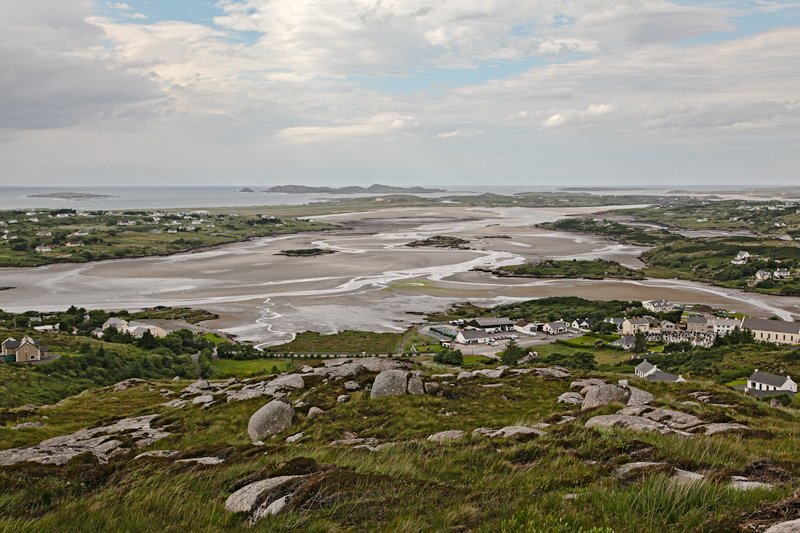 Annagry Hill overlooks a substantial estuary from the coast near Bunbeg and ending some 7km inland to the west of the hill. The photo show this shallow estuary at low tide. It is completely covered at high tide.